We haven’t seen a text editor in a long time; here’s one that’s very easy to pick up — mostly because the majority of its controls are right there on screen: aee. Having said that, there’s not a whole lot more I can suggest about aee. It’s quick and fast, and there’s an X-based version of it too, called xae. Most of the controls for aee (and xae) are accessible through CTRL key sequences, but there’s a menu as well, which does many of the same things. 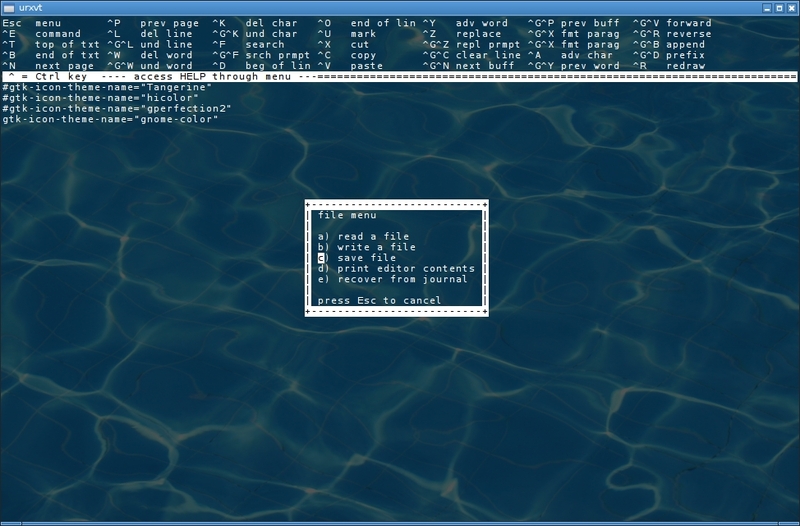 In that way, it’s a nifty splice between, for example, something like emacs, which runs everything by CTRL key sequence (if I remember right) … and jed, which behaves a lot like an old-fashioned text-based word processor. This entry was posted in Linux and tagged editor, text on 2013/08/30 by K.Mandla. What terminal *does* it work with? I’ve installed it and just tried 6 terminals and it just says ‘sorry, unable to use this terminal type for screen editing’ for each one! So if anyone can get it to work I’d love to know what terminal you used! However, xae does work but opens up a terminal which I don’t normally use, I forget which one it is, but its very dull and uninspiring. I shall continue testing it out, but in reality, I’d love aee or xae to load and run in xterm, which is always open on my desktop. Odd, I ran it fine with rxvt-unicode in Arch. Any chance this is an issue with the $TERM variable? Occasionally some software I try will balk unless I give it export TERM="linux" . 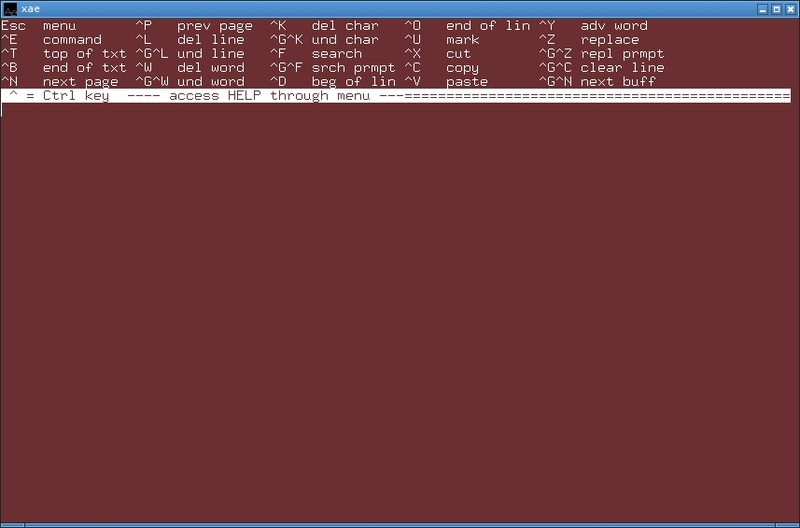 Hm, this looks like FreeBSD’s “ee” editor, nice!